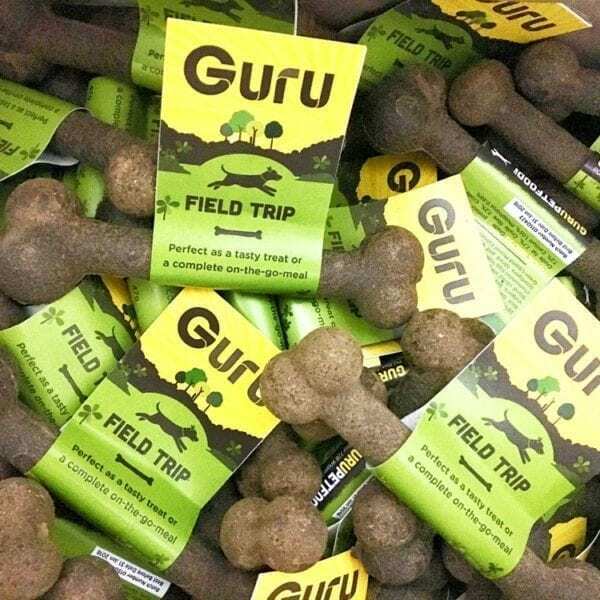 Get 10 Field Trip bones for £15.00 £12.50! Treat your four legged friend to natural treats with our delicious small cold pressed tasty chicken bones! Made with carefully selected ingredients, our small chicken dog bones are come in handy on walks and adventures! 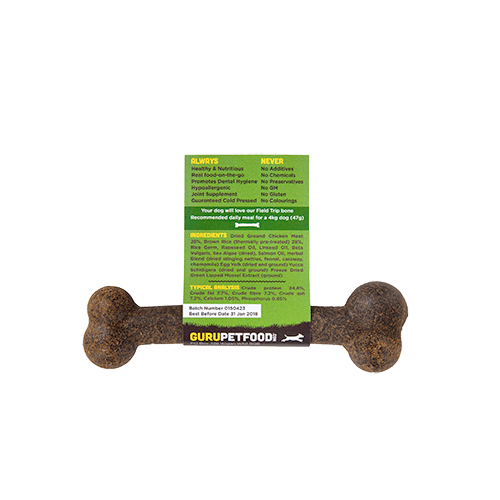 Perfect for small dogs with big appetites, our Guru dog treats have been specially made with your dog in mind to help them live a happy and healthy lifestyle. They may be small in size but they are big in flavour, which makes them a treat we’re sure your dog will love! For larger dogs, why not try our big tasty chicken bones?